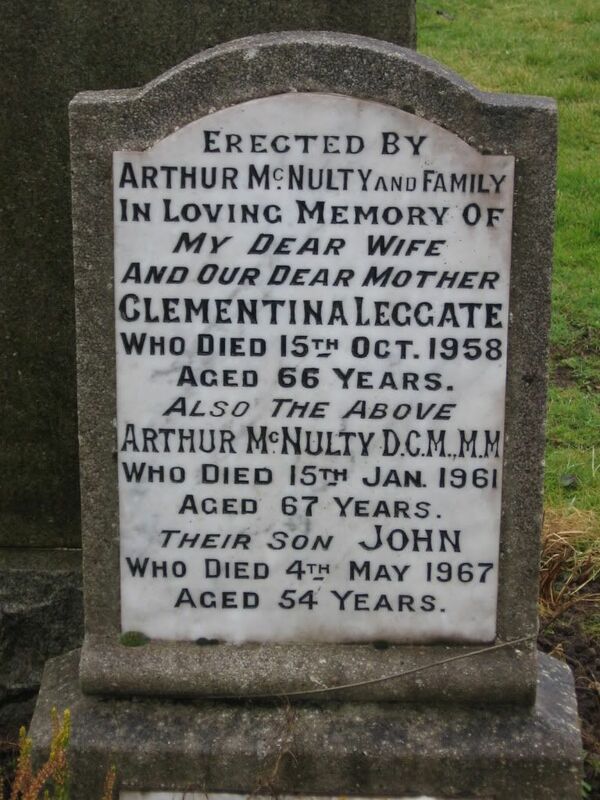 Arthur McNulty, DCM and MM. 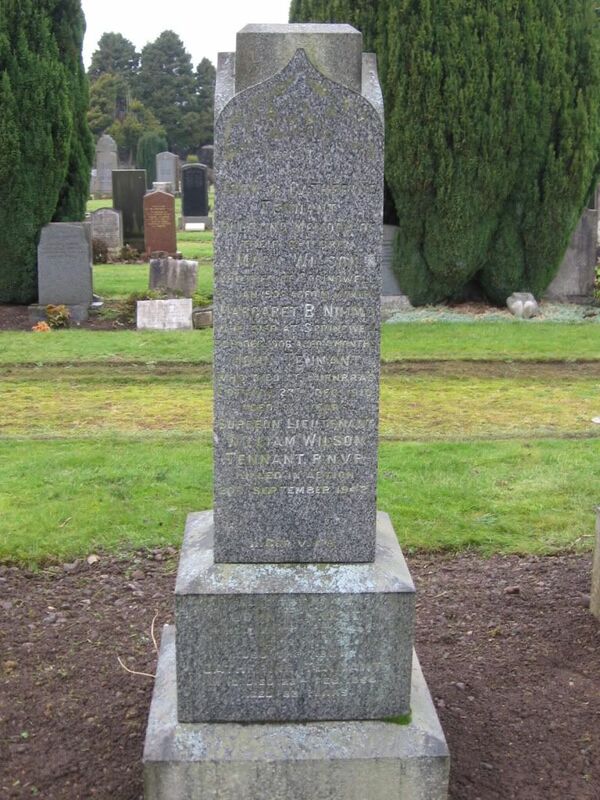 Died 15th January 1961 aged 67 years. 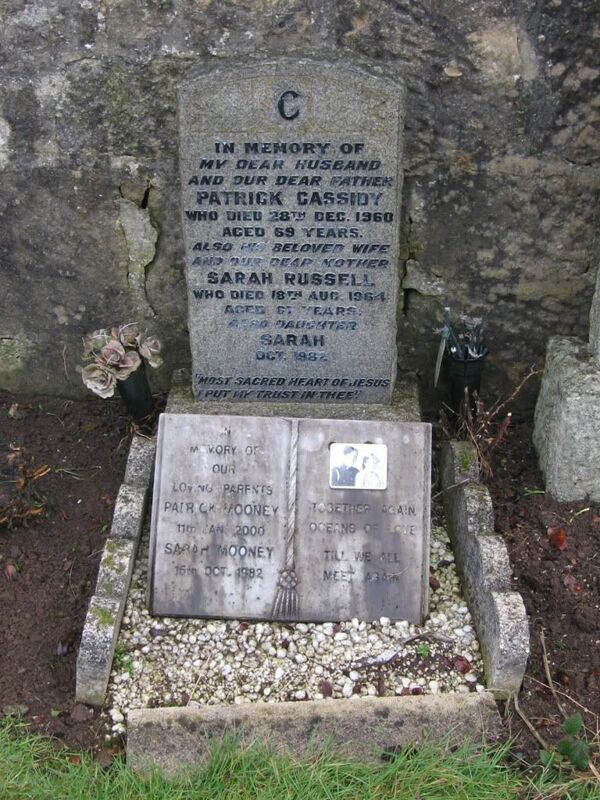 Patrick Mooney who died on the 11th January 2000. 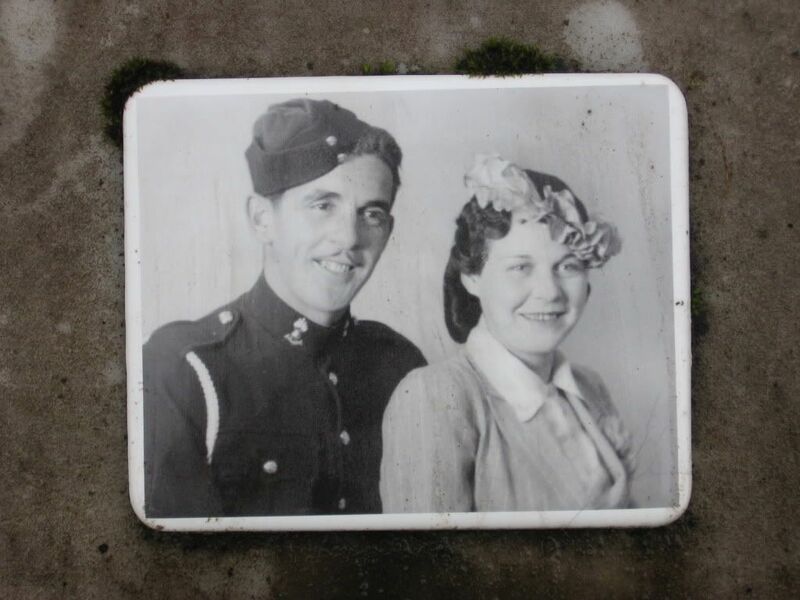 The grave has a photo of him and his wife, with him in army uniform. No further details on the CWGC site, but the grave confirms the first name as Charles. 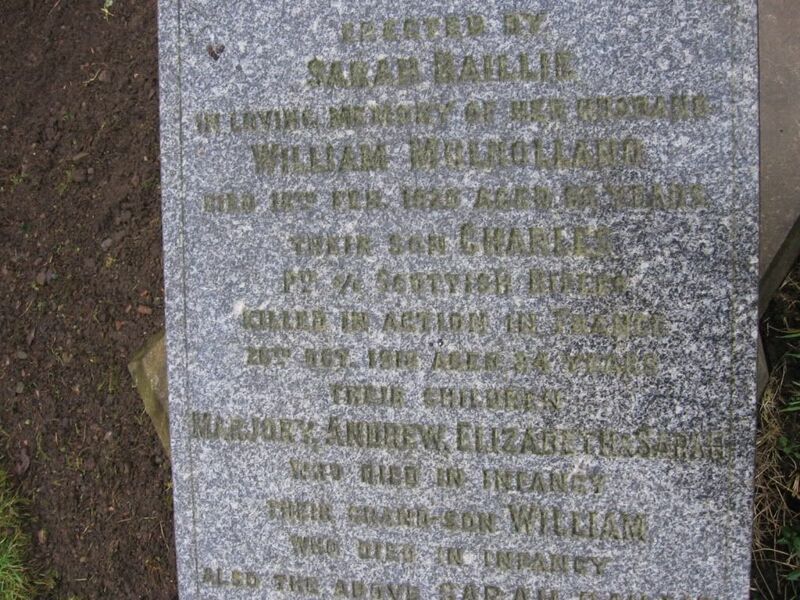 Also confirms the parents as William Mulholland and Sarah Baillie. 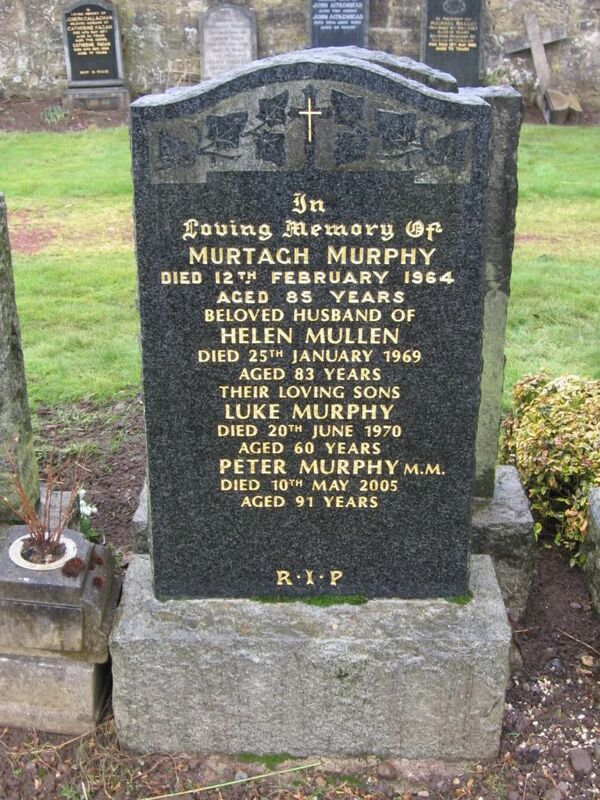 Peter Murphy, Military Medal. 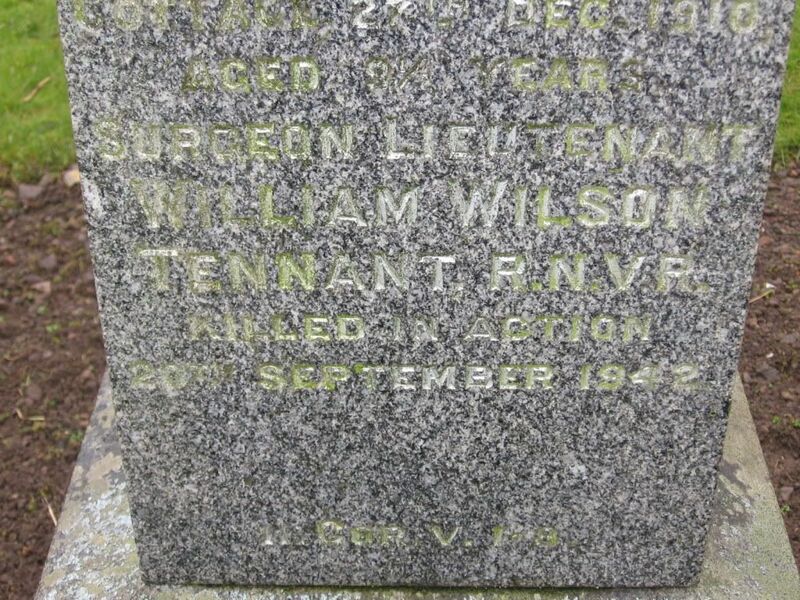 Died 10th May 2005 aged 91 years. No further information at present. 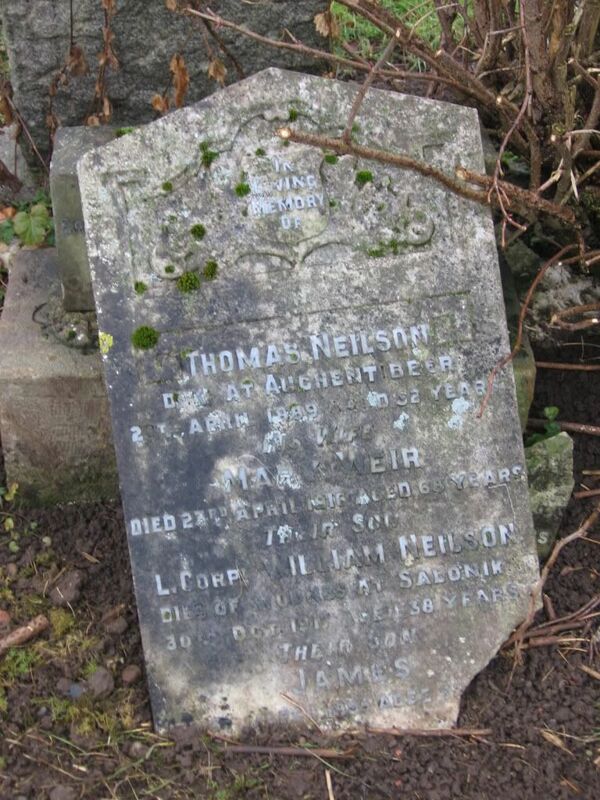 Lance-Corporal William Neilson, died of wounds at Salonika, 30th October 1917, aged 30 years. Unit Text: "B" Coy. 10th Bn. 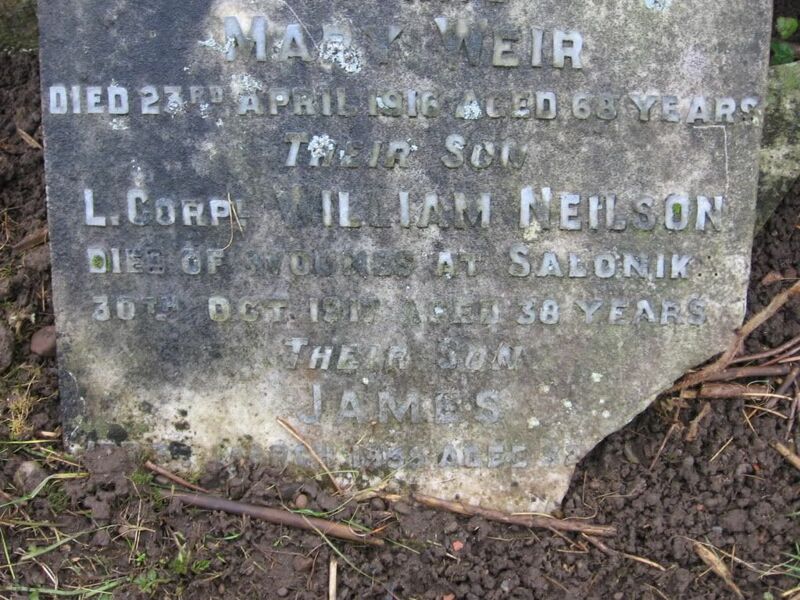 Additional information: Son of Thomas and Mary Weir Nelson, of Auchentibber; husband of Elizabeth McDade Nelson, of Spring Park, Auchentibber, High Blantyre, Lanarkshire. Unit Text: 68th Siege Bty. 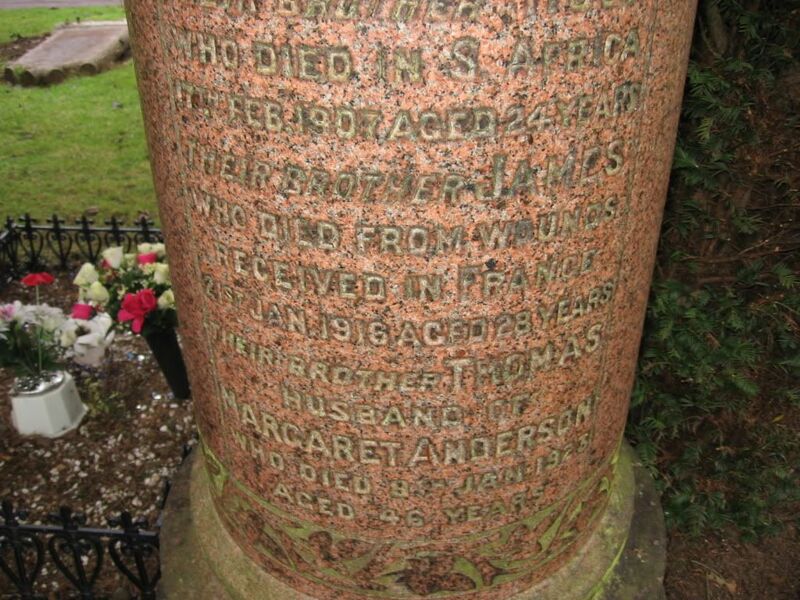 Additional information: Son of James Richardson, of Dumfries; husband of Euphemia Richardson, of 10, Stonefield Place, High Blantyre, Glasgow. Robert Saddler. 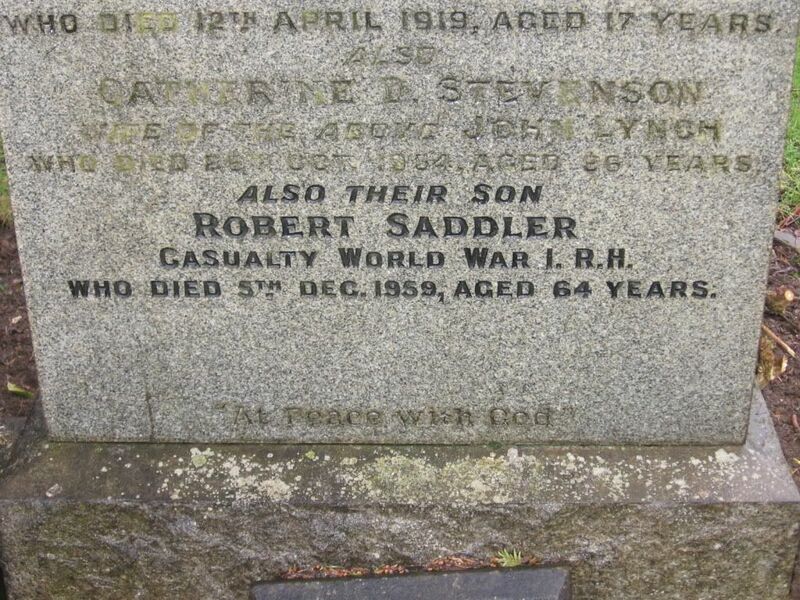 Casualty, World War 1. R.H. (Royal Highlanders?). 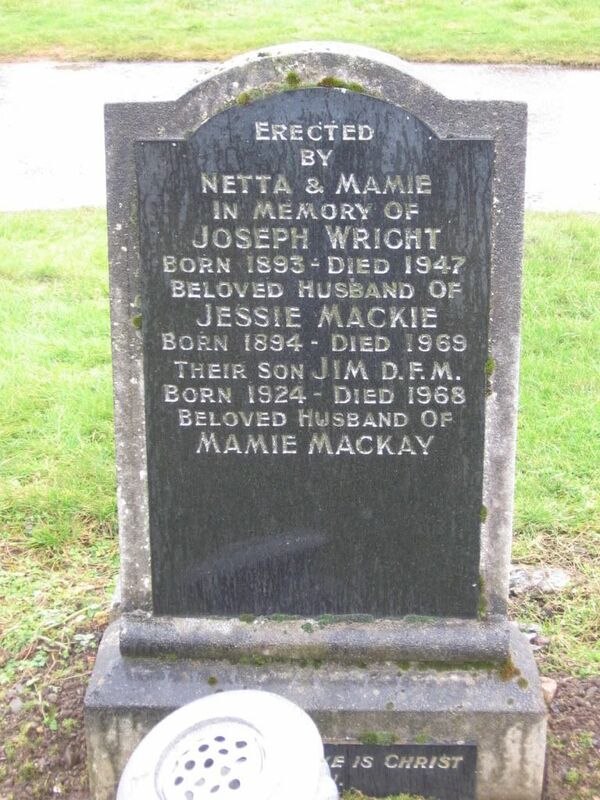 Died 5th December 1959, aged 64 years. 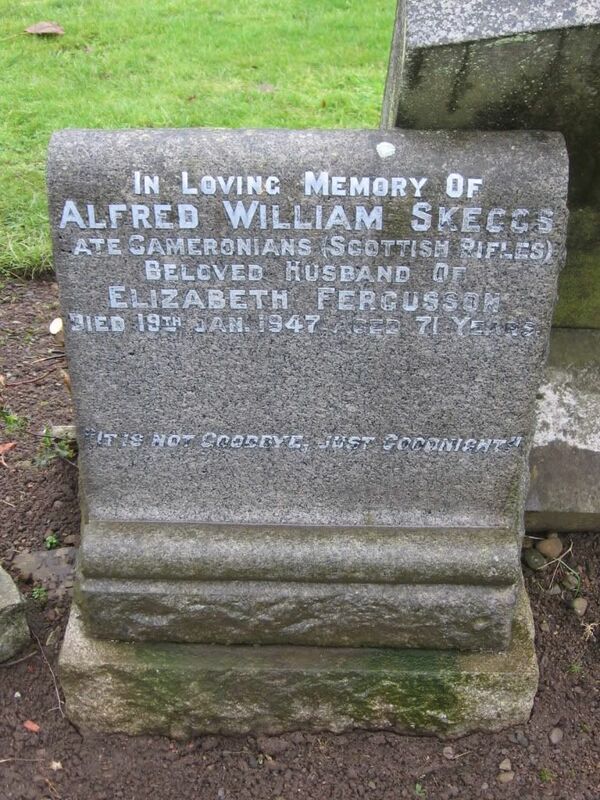 Alfred William Skeggs, late Cameronians (Scottish Rifles). 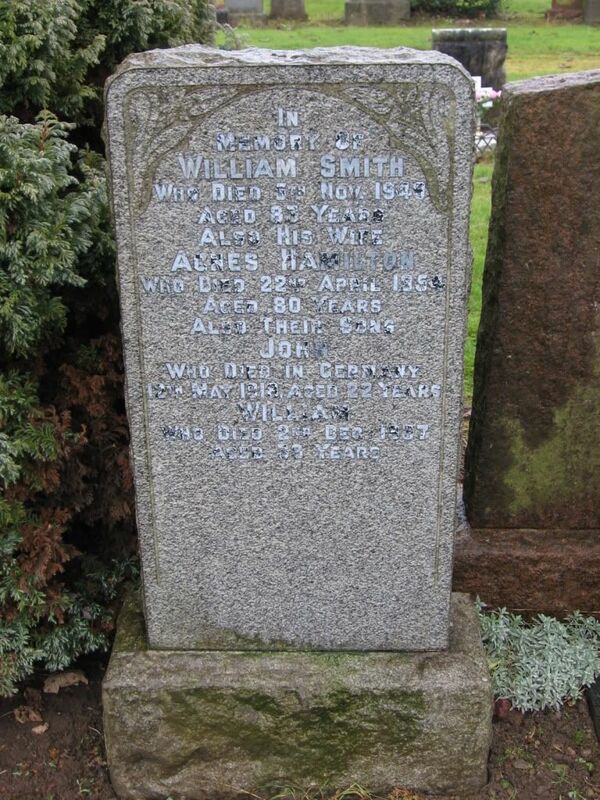 Died 19th January 1947, aged 71 years. 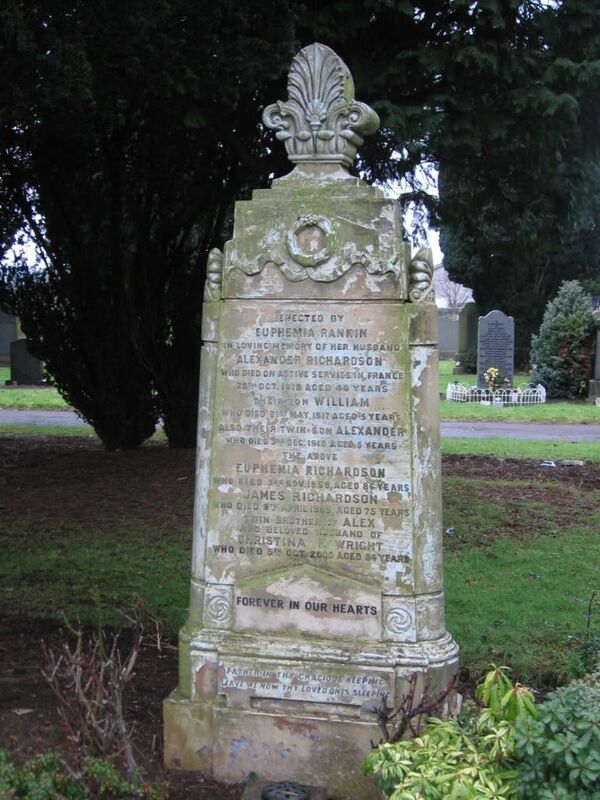 Husband of Elizabeth Fergusson. Grave/Memorial Reference: IV. H. 30. SNWM gives place of birth as Blantyre. 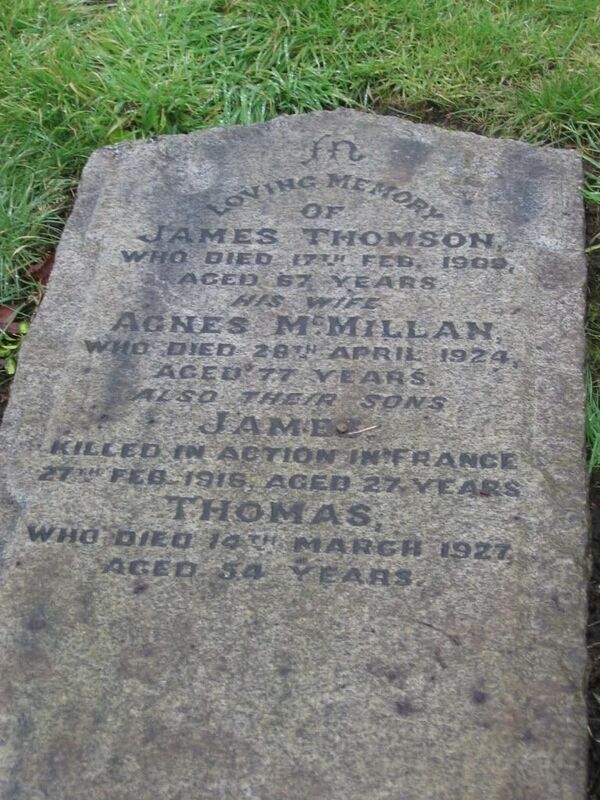 Additional information: Son of James and Agnes Thomson, of 10, Forrest St., Blantyre, Glasgow. Grave/Memorial Reference: I. G. 23. Jim Wright, Distinguished Flying Medal. 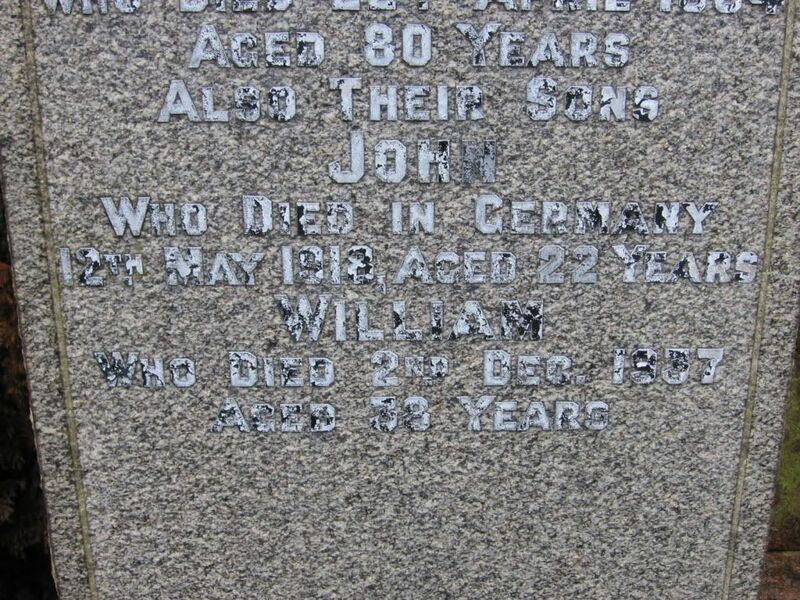 Born 1924 - died 1968. 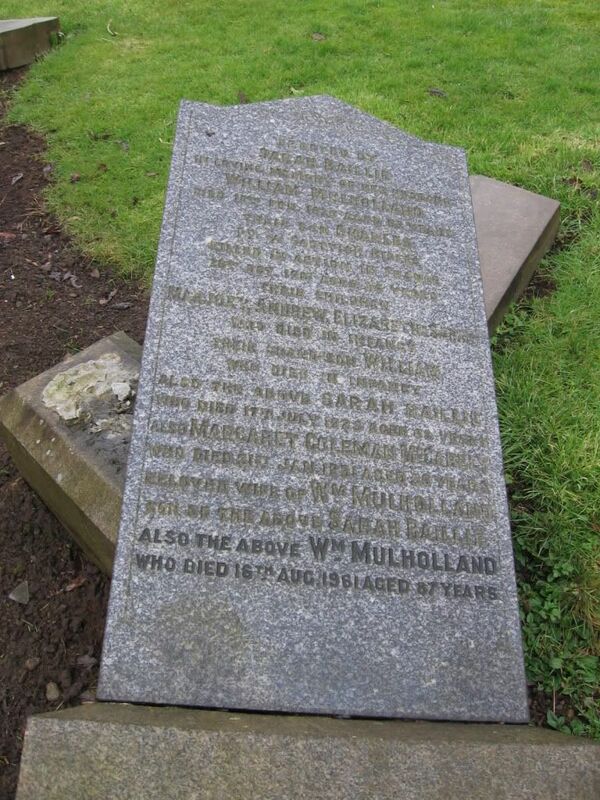 John	Montague Private	12440	1st	Gordon Highlanders	b Auckinleck	Age	32	Died	Paisley	15/04/1918	Son of Patrick Montague & Roseann Higgins. 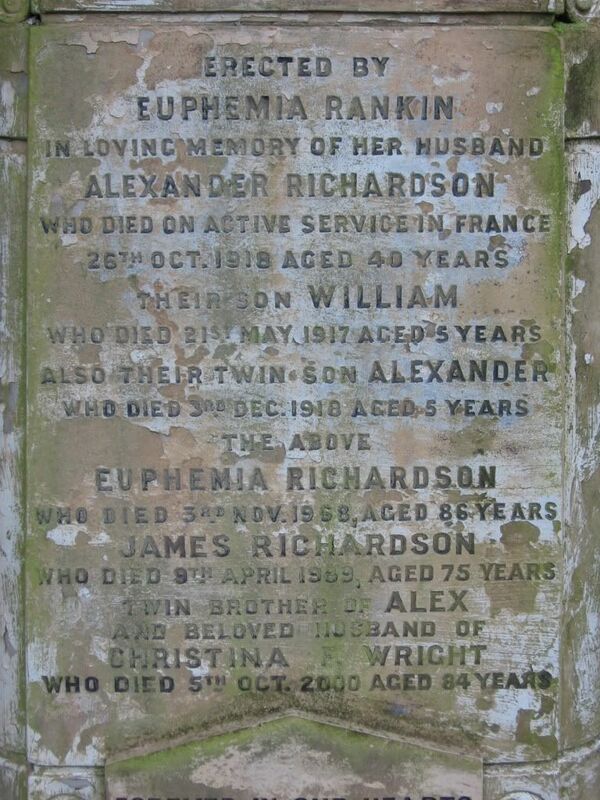 Husband of Rebecca Thomson Mitchell. 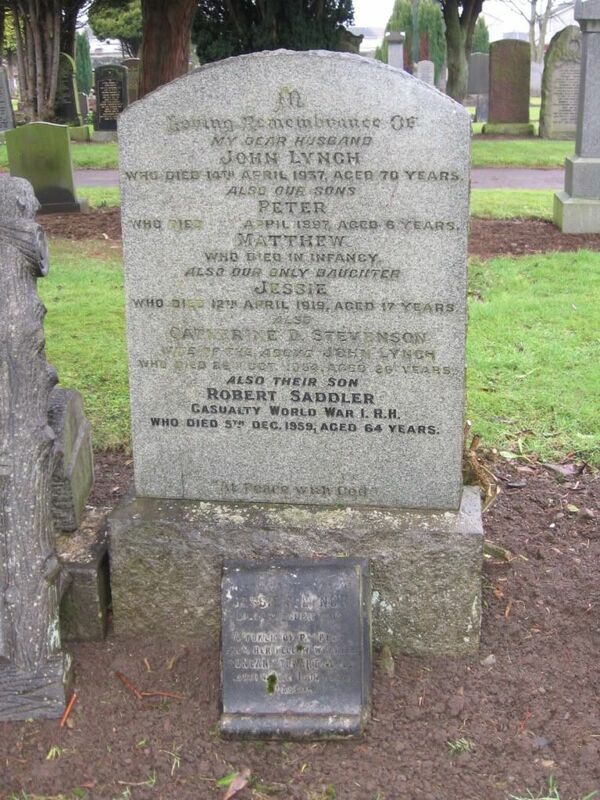 Married 2 Jan 1911 Cambuslang. Died Rolsten Hospital, New Paisley. 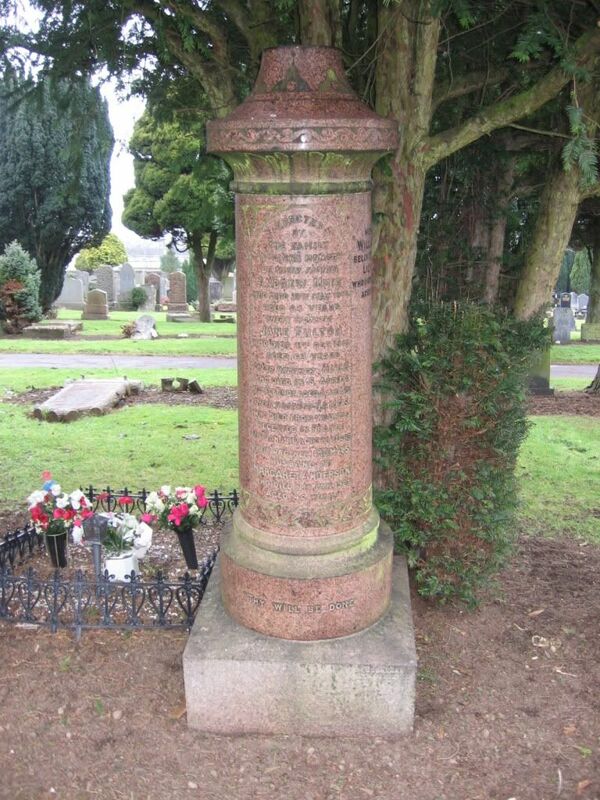 High Blantyre Cemetery	I. 871.